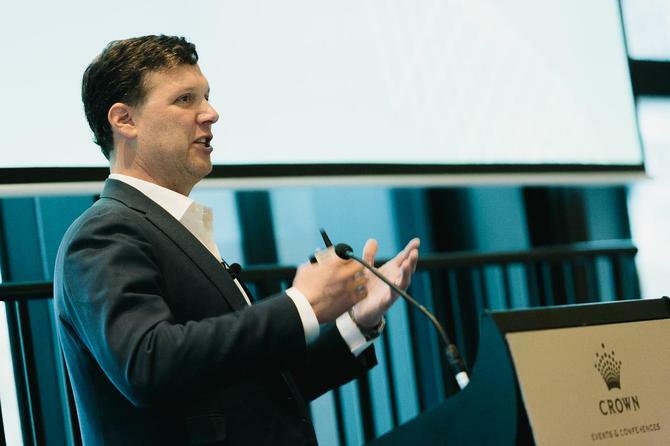 That’s the view of InMoment global CEO, Andrew Joiner, who took to the stage at CMO’s latest Melbourne breakfast event, ‘Creating Intelligent Customer Connections’, to share insights around CX technology innovation as well as what it takes to build a more modern CX approach. Joiner highlighted Forrester research, which suggests nine out of 10 businesses are going to compete on the basis of customer experience in the next decade. In response, the analyst firm believes up to 50 per cent of spend from the CMO is going to be in CX technology in the next five years. “That shows you this is one of those market moments where if we’re all smart enough about how we think about CX, we can have a significant influence on how our companies can compete,” Joiner said, adding that if you can emotionally connect with your customers, it’s twice as valuable to the bottom line. The significance of memorable CX shone through InMoment’s fresh global research into why experiences matter and what it takes to deliver them, Joiner said. Across A/NZ consumers, it found more than 70 per cent of consumers reported having a positive memorable experience in the last year. However, nearly 50 per cent also reported having a negative memorable experience in the last year as well. The impact of these is significant: When brands don’t live up to expectations, consumers are twice as likely to be angry as brands anticipate (22 per cent versus 11 per cent). They’re also 2.6 times more likely to stop using brands as the brands themselves think – one in four, versus one in 10. Alongside improved technology capability, Joiner noted the range of organisational changes, structures and strategies being invested into today in order to lift these customer experience. The problem, he believed, is CX is too often a siloed operation that isn’t adequately sharing and engaging around customer insights across the organisation, and ends up fixated on metrics over meaning. For Joiner, what’s contributing to the problem are “completely flawed” ways of collecting customer feedback. “These customer surveys are often multiple choice, with long questions and they’re effectively guesswork. And by bringing in all these structured questions, we’ve turned things into a metric and destroyed the rich information companies need,” he said. Organisations also get fixated on the metrics, such as a Net Promoter Score (NPS), and don’t fully understand what moves the needle. “You won’t unless you get into that rich feedback,” Joiner claimed. “We’re pushing organisations to look at the CX practices that have not done well. You have all the intelligence and collection of feedback just going into the CX practice itself. Then what they turn around and provide back to management is essentially just a single metric. “What we’ve seen is when the scores don’t work, people will attack the systems. The modernisation of this approach is when you’re distributing the insights and getting all this rich feedback from customers, regardless of where they are – mobile apps, online, in-stores, and even when they don’t purchase things, or third-party feedback. And you’re sharing those insights with the entire suite, from the bottom of the house to the top of the house. Joiner then outlined three ways to modernise the CX approach. The first is to go from surveys of customers with structured questions to asking more for verbatims, because that is what leads brands into more meaningful conversations with customers. “If you facilitate this, you can get more meaningful data to the enterprise and then you’ll have real conversations with your customers,” Joiner said. Secondly, it’s about going to whatever channel or interaction touch point you need to in order to gain insight. “Don’t just collect feedback from a single point – you will get data in multiple channels, but if you look at it holistically and across every point you’re talking to customers through, you get amazing results,” Joiner advised. The keynote presentation came as InMoment confirmed its acquisition of local boutique CX agency, brandXP, a big step in accelerating operations across the wider Asia-Pacific region. InMoment is a US-based company established 15 years ago and provides a CX intelligence software platform designed to help organisations better capture, analyse and action customer insights. The product portfolio is focused on voice of customer, voice of employee, social reviews and advocacy analytics solutions and encompasses an artificial intelligence-based conversation engine, Active Listening, recommendation engine and predictive intelligence functionality, designed to unlock unstructured data. The vendor has been operating in A/NZ for the past five years and works with more than 25 high-profile brands regionally including Coca-Cola Amatil, Transurban, Hyundai Motor Company Australia, Auckland Airport and Carls Jr. International customers meanwhile include Tiffany & Co, Foot Locker, Marks & Spencer and Pizza Hut. Across all of these, the company claims to be servicing more than half a million active users and analysing more than 15 million data points on daily. InMoment’s APAC operations are being headed up by VP, Claire Fastier. “Research carried out by InMoment shows consumers in this region place higher value on companies that authentically understand and reflect the need of the local market,” she commented. The acquisition of brandXP follows years of partnership and will gives InMoment direct local points of sales, marketing, services and support, the company added. To hear more of the findings of InMoment’s research, as well as from the vendor’s global CMO on what it takes to own and create stronger customer experiences as a marketing leader, check out CMO’s recent webinar here.